This new law only applies to residential properties containing between one and four dwelling units (single family, two flat, 3 flat, and 4 flat buildings). The Radon concern is a very serious one, and since January 2008 I’ve encountered many homeowners asking for additional information and suggestions. Since I’m not licensed to perform such testing, I will only relay some basic information about Radon and direct you to other places containing more in-depth studies concerning this problem… of course, only if you need more. For your own protection, continuous monitoring Radon Gas Detectors can be purchased and are fairly inexpensive (about $120.00), but to give you an “honest” reading, they should be calibrated by a manufacturer every year (that’s another $60.00 each time). There are also other, commonly available, “do-it-yourself” types of Radon tests (short and long term), which require sending a used detection device to the laboratory for final analysis. Radon is a colorless, odorless, tasteless, radioactive gas product of uranium and radium decay, which naturally occurs in soil or rock, and according to EPA estimates – it’s the #1 cause of lung cancer among non smokers (responsible for 10% of lung cancers in US). Because rock is one of the Radon sources, 4 flat building limitations might become a concern for some home owners- concrete, concrete products (if made from uranium mine tailings), and various building materials (one of them is granite) containing radium might release Radon directly into your house, and although they produce significantly low levels, and are not the most common sources, such releases may occur. Radon levels vary throughout the United States so you can find out if you’re located in high / medium, or low concentrated area by checking this map on the EPA web site, or this Illinois Status Report. However, this map will only give you a general idea about the concentration levels, and because our (human) senses cannot detect this gas, we have to utilize current technology (EPA list 12 radon measurement methods and 3 radon decay product measurement methods) . If you are signing a home purchase contract, time limitations (usually 5 business days) will only allow for short term testing (48 hours), usually performed by a licensed Radon specialist. If results are below 4.0 pCi/L (Radon levels measurement units), your house annual average would likely be also within that level. With readings above 4.0 pCi/L you should perform follow-up testing, and consider steps to reduce Radon levels (Radon reduction, mitigation). The problem with short term testing is that results might be sometimes very inconclusive. It requires so-called closed-house conditions, which you can’t control on somebody else’s property. Also, Radon gas levels vary, sometimes significantly, on a day-to-day and seasonal basis, which unfortunately cannot be predicted. Therefore, long time (minimum 90 days), or continuous, Radon testing is recommended, especially in higher risk areas. If you already own a property and the performed testing reveals elevated Radon levels, you should contact a Radon-Reduction (Mitigation) Contractor. According to EPA, an average cost of a mitigation procedure is around $1200.00 ($800.00 – $2500.00), and even high levels of Radon gas can be lowered utilizing simple methods and equipment (involves active ventilation either in the basement or below the slab of the house). 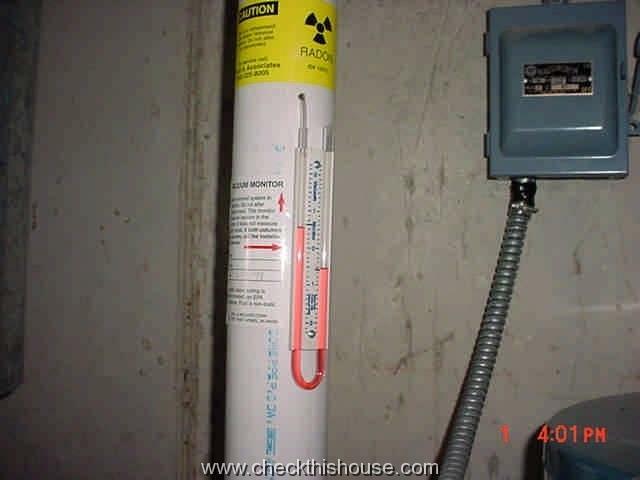 On following pictures, couple of samples of a typical radon mitigation equipment installed in homes. 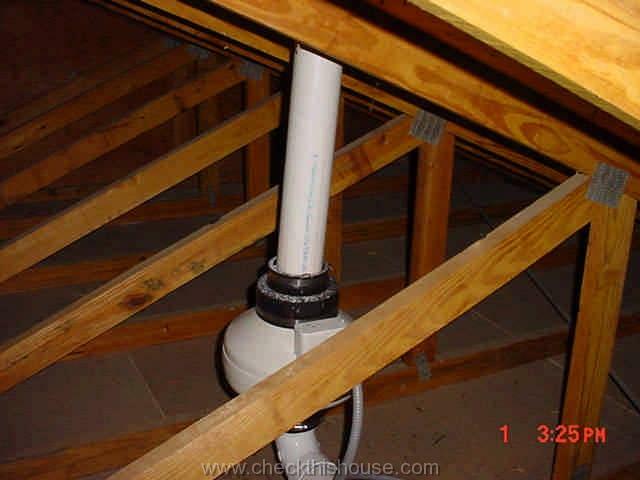 Both systems utilize power exhaust fan (mounted on exterior or in the house attic), and PVC suction piping. Liquid filled gauge visible on one of the images tells you that exhaust fan is operating, and it’s called suction indicator (constant operation of this vent is crucial). 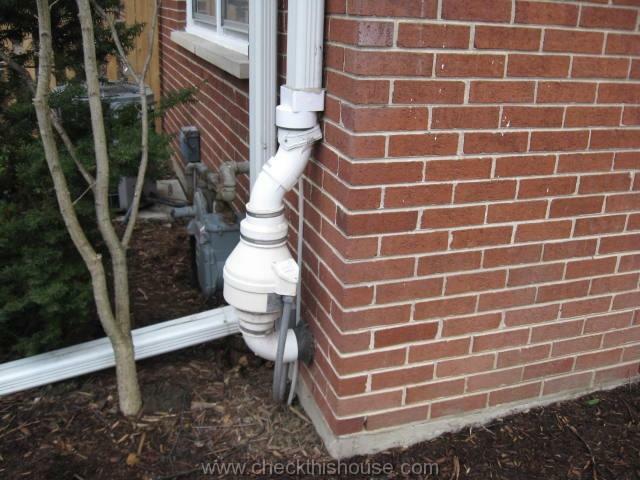 You can also check this diagram of a typical radon mitigation system installation here.